1. It is impossible to do everything you think you should, could or might do! 2. 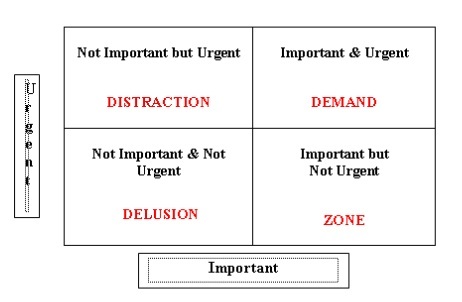 Time management is about making decisions of what not to do, what to do and when to do it. So, you need a decision making process. 3. Time management is about getting things done rather than doing more things. 4. Time Blocks are more effective than To Do Lists. DOWNLOAD at the end of each week. Write down every task and “to do” item filling your mind. At the end of each week, find a quiet time where you will not be interrupted. List every single job and task you can think of, even little ones. They are all taking up processing space (RAM) in that wonderful mind of yours. Leave too much in there and it will crash. CLASSIFY. Assign each item to a category (e.g. Business, Financial, Personal, etc.). 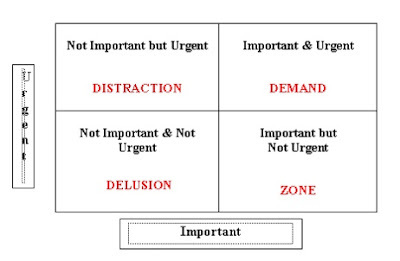 This will give you a picture of the balance between various parts of your life and will help with the prioritization step. Something is important only if it will have a major positive impact when it is done OR a major negative impact if it is not done. Something is urgent if it has to be done by the end of next week or sooner. Something that has a deadline that’s more than a week away is not urgent even if it is important! Relax, the time management system will give you time/space to get it done. This is a critical part of the decision process. Apply these rules rigidly! Every business needs an effective referral strategy. In fact, referrals are usually the most effective and least costly way to acquire new customers. Here's a step-by-step outline to help you put together an effective referral program that will make a significant impact on your business.